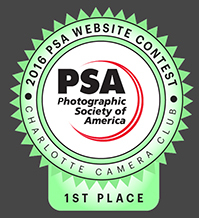 Welcome to Charlotte Camera Club! We are a growing, active club of photographers spanning all ages and skill levels. We offer a fun mix of opportunities and ways to participate. Our meetings are held on the second and fourth Thursdays of every month except the months of November and December (no second meeting those months). Meetings begin at 7:00 p.m. and conclude by 9:00 p.m. We meet at St. John's Episcopal Church at 1623 Carmel Road, in Room 205. Members and guests are invited to arrive a little early to socialize before the meeting begins. We hope that you will browse our website and visit a meeting soon. The Quarterly Image Review is an opportunity for members to have their images evaluated by a qualified PSA judge for the purpose of growing in their skills and abilities as photographers. Each member is allowed to submit one image each quarter for the annual Charlotte Camera Club Competition. In addition to the feedback the judge provides, the judge will also select images to be forwarded to the annual competition. Don Brown is retired USAF Officer and Information Technology Corporate Executive and Program Manager, Mr. Brown retired and moved to Charlotte, NC in 2005. He grew up in Western Kentucky (Paducah) and served 24 years in the U.S. Air Force, retiring from the USAF in 1982 after serving the previous 5 years as an Associate Professor of Computer Sciences at the Air Force Academy in Colorado Springs, Colorado. He then joined Computer Sciences Corporation and retired again in July 2005 as Vice President, Government Consulting business unit. Mr. Brown resides now in Charlotte, NC and was President of the Carolinas’ Nature Photographers Assn (CNPA) for 5 years. 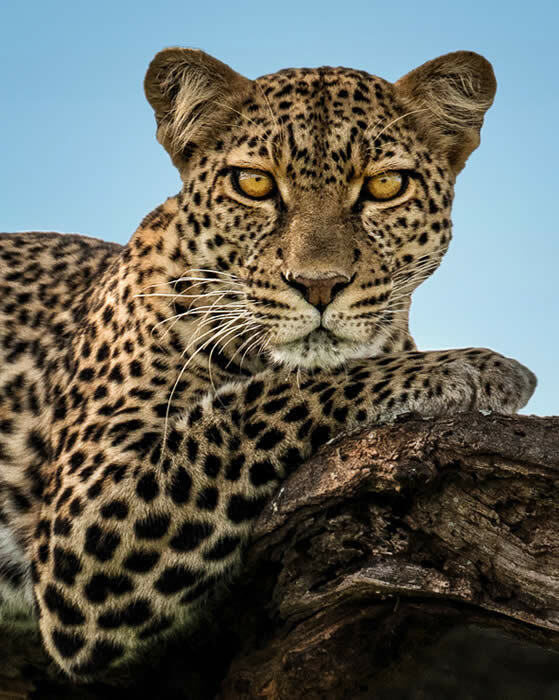 He is an active member of the North American Nature Photographers Association (NANPA) and a member of the Board of Directors for the Photographic Society of America (PSA). He now spends full time practicing his chosen avocation of nature and wildlife photography in many of the U.S. parks and wildlife reserves. He teaches a Masterclass in Fine Art Printing at the Light Factory, one of 4 museums in the U.S. specializing in Photography and Film. Donald’s educational background includes an associate degree from Yale University (Far Eastern Languages), a BS degree in Statistics from Syracuse University, an MS degree in Computer Science from Texas A&M University and an MBA degree from Ohio State University. You are invited to visit his blog at http://debphotography.blogspot.com . He says, "My primary love is nature photography: landscapes, wildlife and plantlife, but I am beginning to explore other areas of expression and am especially interested in the craft of fine art printing. My primary tools are from Nikon and includes a D4, D800E, a D7100 and a closetful of lenses acquired over a 45 year involvement with photography. My printer of choice is the Epson StylusPro 4900. My last film camera before switching to digital was the Nikon F5." See our Calendar for more information about events and activities.